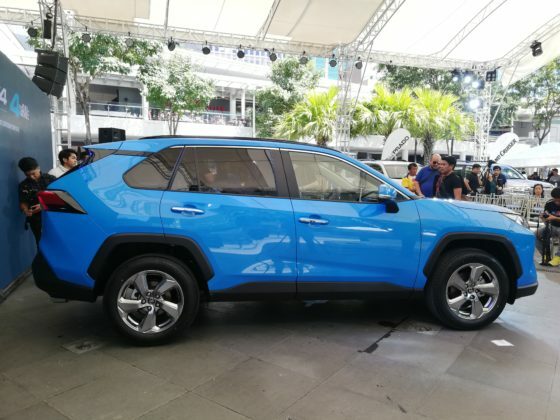 The all-new 2019 RAV4 was officially launched by Toyota Motor Philippines (TMP) earlier today, revealing sportier, robust and more premium design. 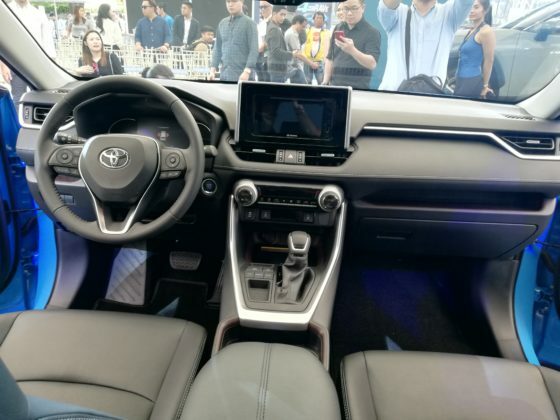 The rugged exterior is complemented with better performance and capability thanks to the Toyota New Global Architecture (TNGA). TNGA is a platform that embodies the brand’s principles and technologies to improve vehicles’ Agility, Stability, and Visibility. 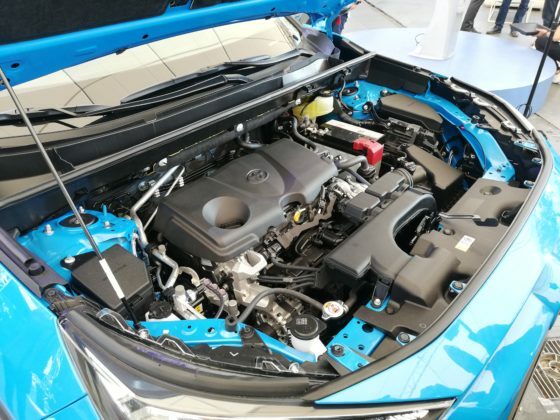 Packed under the hood is a new 2.5-liter (A25A-FKS) Dynamic Force Engine with Dual VVT-I with VVT-iE, which is then mated with a direct shift 8-speed automatic transmission. It features a multi-plate lock-up clutch to provide a wider lock up range for smoother and faster shifting and acceleration. 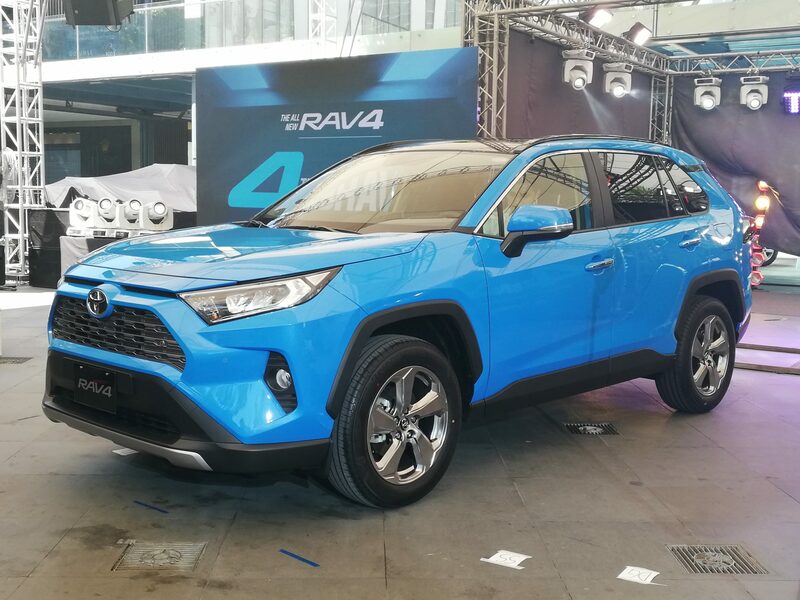 The RAV4’s new powerhouse can produce 200-bhp and a maximum torque of 179 lb-ft. of torque at 4,000-5,000 rpm. The original RAV4 from the 90s is quickly turning into a classic for its iconic and uniquely rounded styling. As evidenced by the ‘cross-octagon’ design of the exterior body, the fifth-generation model looks to continue the nameplate’s rich heritage as it combines styling fit for modern times with a sporty look all-around. 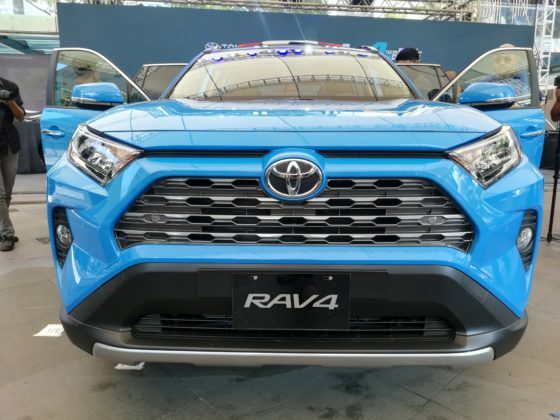 Another compelling exterior feature on the new RAV4 are the wide wedge-shaped front highlighted by a two-tiered upper and lower trapezoid-shaped grille. 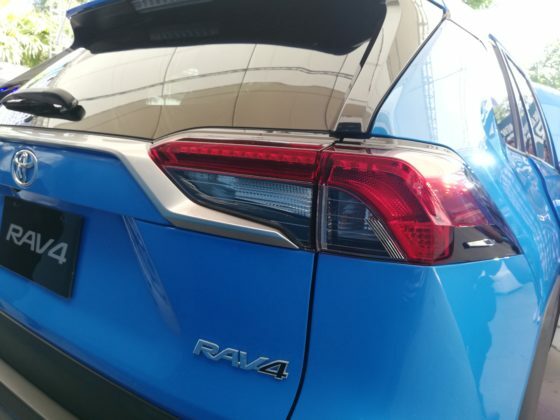 It is able to mesh modern lines and edges evident in modern cars, while being able to stay close to the design language or identity a Toyota RAV4. Parabola LED type headlights come standard regardless of the trim. A sportier facade is also complemented by new alloy wheels in all configurations, regardless of whether customers choose the 17- or 18- option. 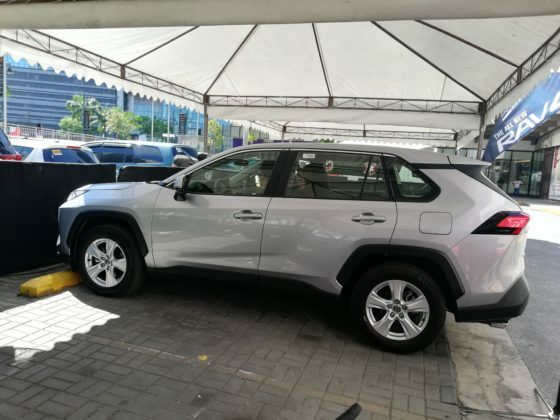 Overall, the new RAV4 presents a robust yet luxurious exterior. 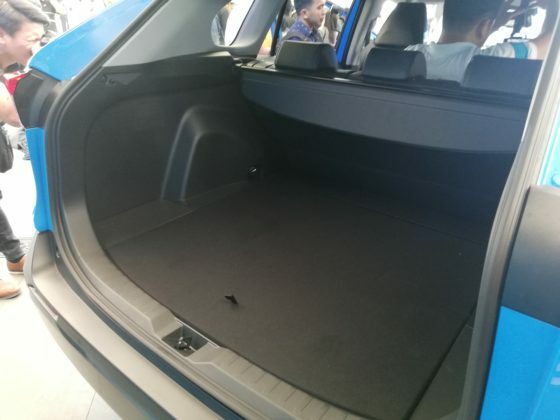 Inside, drivers and passengers are welcomed by the soft materials and stitching used in the construction of the dashboard; details found even on the entry level LE trim. 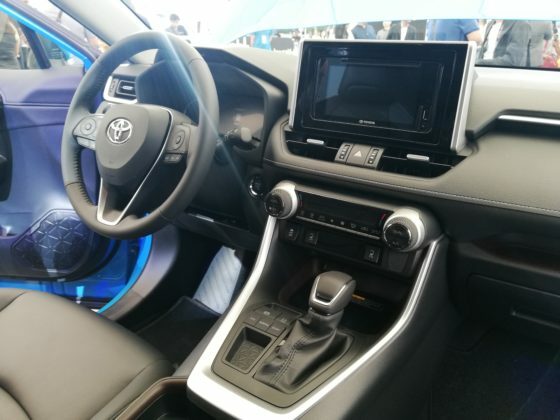 The interior of the topping LTD variant also showcases user-friendly features and technology, such as a 7-inch multi-information display that can be switched between analog and digital display modes. 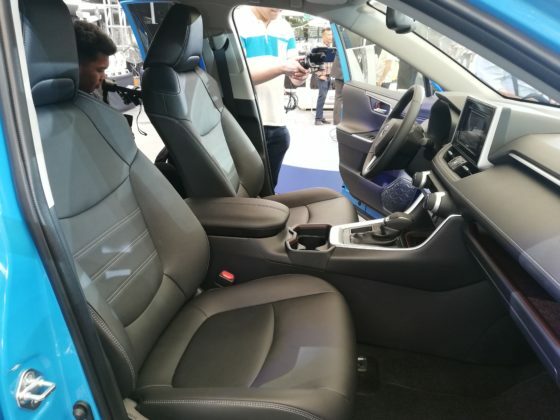 It is integrated with a wireless charger, 8-way power adjustable driver’s seat with memory and lumbar support, and an inside rear-view mirror. 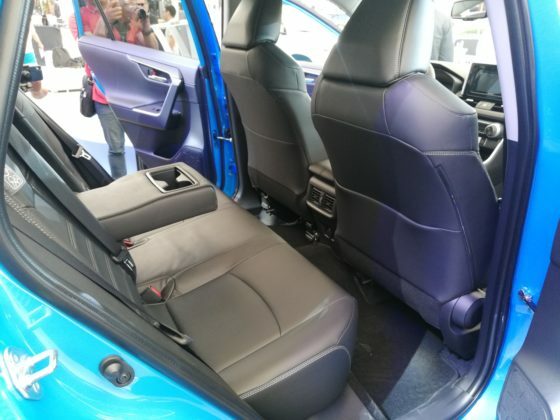 A total of seven airbags are installed across all variants of the new RAV4. Similarly, all three trims are equipped with Vehicle Stability Control with hill climb assist and trailer sway control. An 8-eye front and rear sensor, and back-up camera come standard on the XLE and LTD. 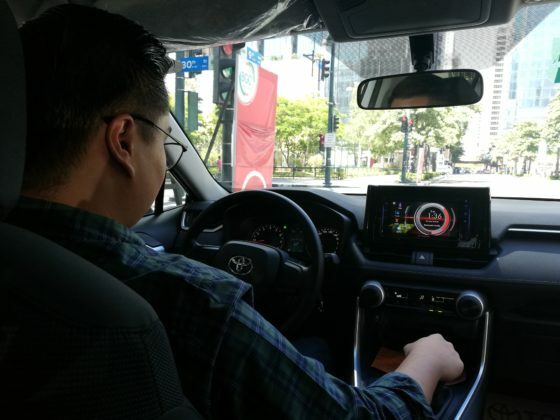 The all-new Toyota RAV4 comes in six standard colors: White Pearl, Red Mica Metallic, Silver Metallic, Gray Metallic, Urban Khaki, and Cyan Metallic. 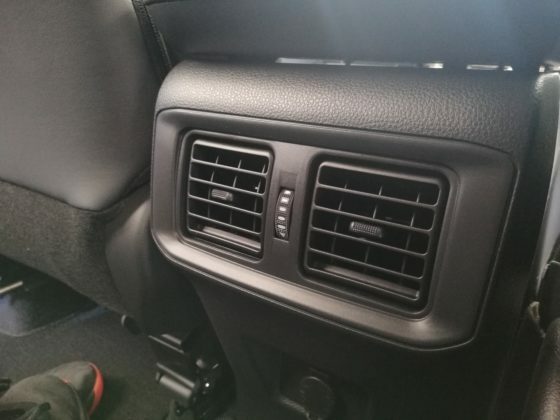 Three other colors are available on special order (approximately three-month delivery time), namely, Super White, Attitude Black, and Dark Blue Mica Metallic. 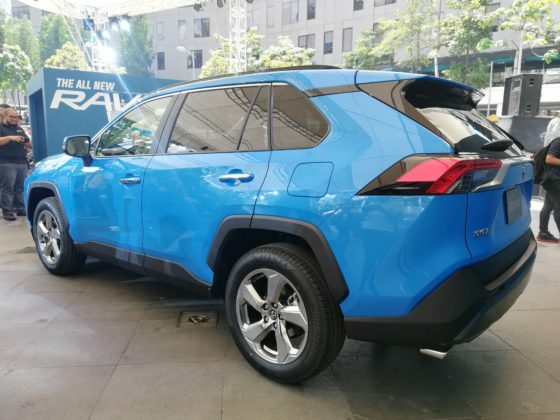 Widely known as the first compact crossover SUV, the RAV4 nameplate was debuted 25 years. Since then, its popularity has grown across markets worldwide, and the fifth-generation model looks to continue the legacy.